A variety of indigenous fermented foods exist today; however, tempeh has been one of the most widely accepted and researched mold-modified fermented products. Tempeh is a traditional fermented food made from soaked, dehauled, and cooked soybeans inoculated with a mold, usually of the genus Rhizopus. The soybeans placed into a perforated type bag to make a compact cake for fermentation to occur. The soybean and/or other grains will turn the cake into a dense cottony mycelium form. An important function of the mold in the fermentation process is the synthesis of enzymes, which hydrolyze soybean constituents and contribute to the development of a desirable texture, flavor, and aroma of the product. The mold also forms the ‘cake’ for easy use in cooking. Enzymatic hydrolysis also may decrease or eliminate anti-nutritional constituents; consequently, the nutritional quality of the fermented product may be improved. Current technology and new scientific advancements have enabled researchers to examine specific strains of Rhizopus and new substrates such as cereal grains. Because Kansas produces numerous cereal grains, production of a fermented tempeh-like product using wheat, sorghum (milo), oats, rye, barley, corn, and triticale is a definite possibility for generating a Kansas Value-Added Product. In this study, several different tempeh-like products were produced using various cereal grains inoculated with Rhizopus oligosporus NRRL 2549 or R. oligosporus NRRL 2710. ﻿Grains used included hard red winter wheat, triticale, yellow sorghum (milo), and red sorghum (milo). 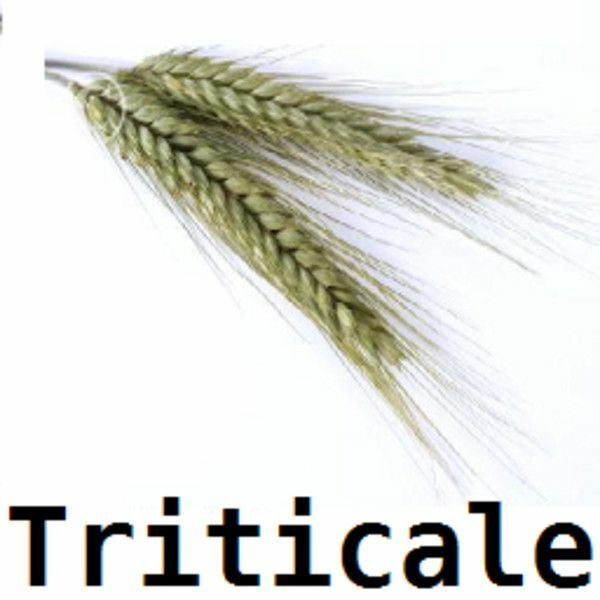 The grain source as well as the strain of R. oligosporus used influenced the product's appearance, flavor, and patty integrity. Results showed that R. oligosporus NRRL 2549 produced more mycelium at a more rapid rate than did the R. oligosporus NRRL 2710 strain. ﻿The combination of red sorghum and R. oligosporus NRRL 2549 yielded a product with good patty texture, aroma, and appearance. Furthermore, the red sorghum fermented product was well suited for slicing. On the other hand, yellow sorghum inoculated with either R. oligosporus NRRL 2549 or R. oligosporus NRRL 2710 failed to produce an organoleptically suitable product.